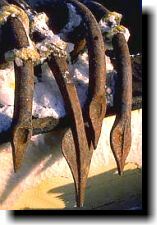 Kenya Beach Travel welcomes you for a Mombasa fishing experience on its side of the Indian Ocean. 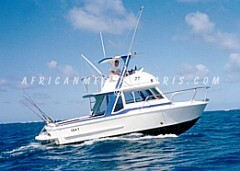 You will board a 33 feet custom built Rybovich Sportfisher with twin 140 H.P. diesel engines; Tuna Tower is equipped with first class tackle,including Penn International and Shimano reels, Downrigger, Fishfinder, VHF Radio and all other necessary amenities for a successful Kenya - Mombasa fishing safari. "T.T", 25 foot Chris craft cabin cruiser with Flybridge is another boat option available for your Africa fishing safari. 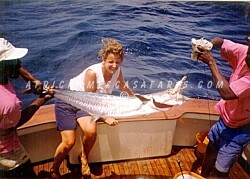 Deep sea fishing in Mombasa Kenya has become very popular. 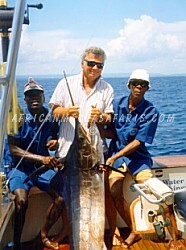 You will have a very good chance to catch some of the magnificent game fish which abound in the Indian Ocean e.g. Dorado, Yellowfin Tuna, Wahoo, Kingfish, Barracuda, Sailfish, Shark, Black Marlin, Blue Marlin and Striped Marlin. Boats leave at 7.30 a.m. and 1.00 p.m. You will pass through the entrance to the Old Dhow Harbor whilst en routing to the fishing grounds; guests onboard will have a superb view of Mombasa Old Town and the historic Fort Jesus, the fortress that was built by the Portuguese in 1593.